The Governor and CM of Arunachal Pradesh extended their sincere greetings to the Sikh brethren of state. The Governor of Arunachal Pradesh Brig. (Dr.) B.D. Mishra (Retd.) 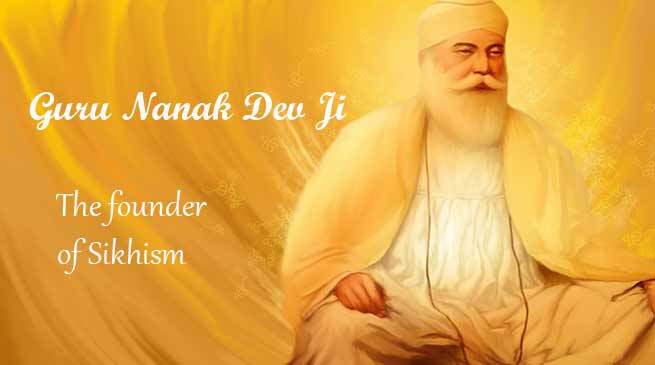 has extended his sincere greetings to the people of the State and to the Sikh brethren of our State and the Nation on the auspicious occasion of Guru Nanak Jayanti. He expressed his hope that the occasion will strengthen the spirit of unity and compassion and reinforce the splendid cultural fabric of our society. In his message, he Governor said that Guru Nanak Dev ji showed all the path of spiritualism, purity and justice. He gave the divine message of harmony, humility, and humanism to the mankind. His preaching inspires to to espouse equality, kindness and brotherhood. Guru Nanak Dev ji bequeathed to us the paragon message in the form of the Mool Mantra (Basic precepts) of “Ek Omkar” (“the Sublime one”) which is about the benign cosmic management of the earth, the Governor said. Guru Nanak Dev ji preached tolerance, amiability and respect for human values. He guided people from different faiths, in equal measures, to respect all beliefs and faith. He pronounced that it was cruel to hate a fellow human being for the reason that she or he worships a different God in a different way. He professed that giving respect to other religions is tantamount to giving respect to the great Almighty, the Governor further said. On this auspicious occasion, I appeal to all my fellow citizens to imbibe Guru Nanak Dev ji’s ideals which exude honesty, truthfulness and virtuous life, the Governor appealed. Chief Minister Pema Khandu has conveyed his best wishes and greetings on the holy occasion of Guru Nanak Jayanti to be celebrated across the world on Friday. Wishing the Sikhs, who reside in Arunachal Pradesh in huge numbers as state and central government employees, businessmen and entrepreneurs, Khandu expressed hope this ‘Guru Nanak Prakash Utsav’, as the day is called by them, would reinstate the faith and belief on God and spread the teachings of the first Sikh Guru. Guru Nanak Dev ji was born in 1469 in Talwandi, a village about 65 kilometers west of Lahore. During the course of his life, Guru Nanak traveled far and wide, teaching people the message of one God who dwells in every one. Khandu noted that as per local belief Guru Nanak travelled to Arunachal Pradesh and meditated near Mechuka, which gives further significance to the holy festival. “He set up a unique spiritual, social, and political platform based on equality, fraternal love, goodness, and virtue. His words, enshrined as 974 poetic hymns in the Guru Granth Sahib, preach peace, love and humanity,”Khandu added.